SharePoint was developed in 2001 by Microsoft and since its launch it had been adopted by 78% of fortune 500 companies. 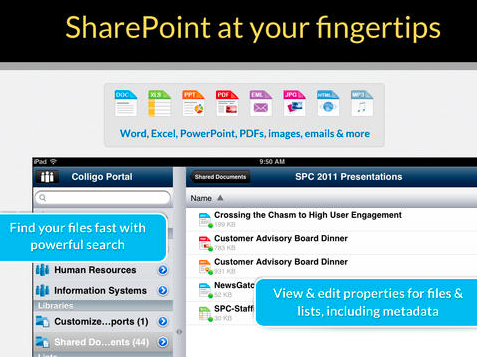 A lot has changed since 2001 and more of these users also look to access SharePoint data on an iPhone or iPad. Good news, there are some great apps for that, here are some of the best. These SharePoint apps all work with your current SharePoint setup. No need to install server components or request special permissions. They will support version of SharePoint 2007, SharePoint 2010 and SharePoint 2013. With the SharePlus app you can keep SharePoint content offline for fast access, even when you are not on the wifi network. Extensive “smart caching” downloads only the content you need, reducing device storage requirements. Sync specific libraries, lists or even views from SharePoint. You can also set alerts to monitor changes to files or folders in SharePoint. 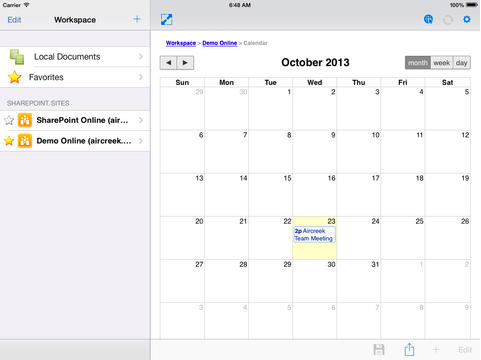 Simple, intuitive way to interact with Microsoft SharePoint from your iPad or iPhone. 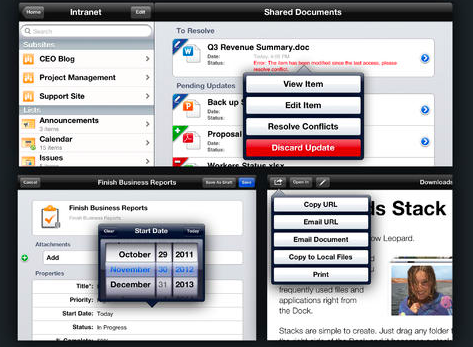 Have full functionality for SharePoint activities at your fingertips while you’re on the go.